This file is a listing of all non-championship team tournaments that haven't been assigned anywhere else. There are details available only for some of them. Florencio Campomanes, then FIDE president, was honorary guest. Turkey 7, Albania 6, Bulgaria 5, FYR Macedonia 2, Greece 0. 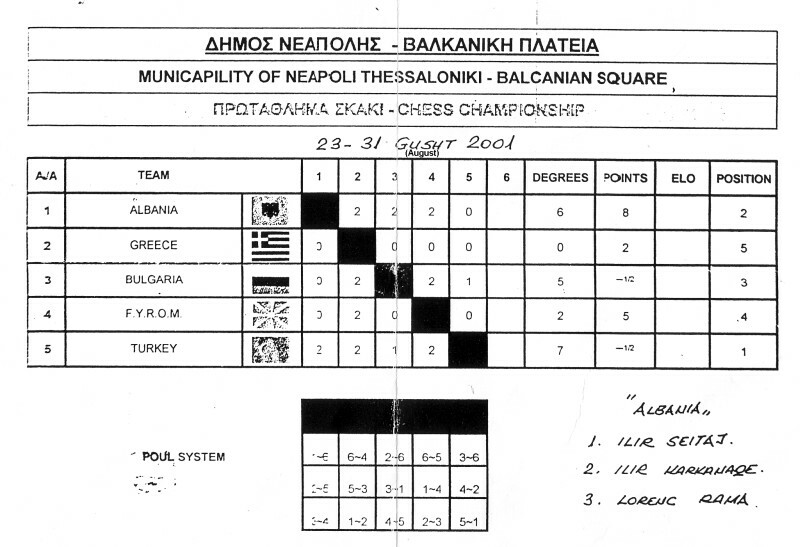 There was controversy whether match points (as in official protocol) or game points (as claimed by Albanian Chess Federation) should be used. Alternative standings by game points: Albania 8, Turkey 7½, Bulgaria 7½, FYR Macedonia 5, Greece 2. Belgium 1969 (university teams) London; Prague; Amsterdam; Leyde; Brussels; Liege; Brussels "B"